Our approximately two acres of nursery grounds include two greenhouses. The nursery is open Spring, Summer, and Fall. Count on us to have Fall Color when others won't. We have a spectacular selection of Day Lilies, Iris, Japanese Maples & a variety of Bulbs. We strive to provide you with Plants & Trees which deliver 4 Seasons of Color & which come back year after year. Your garden is a great investment which enhances the value of your home, office or living space. It brings beauty & color & enhances quality of life. 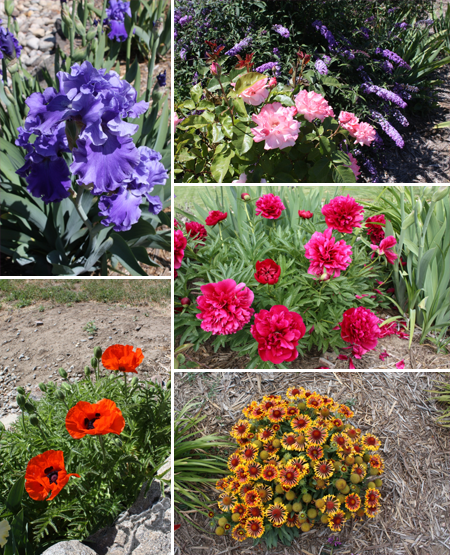 We carry live invenory for planting in the spring, summer, and fall. Irises are one of the best known & loved Spring Color plants, which is why we strive to carry the most beautiful & diverse selection of irises (more than 150 varieties) in the Inland Northwest.